Primal Fitness is Texas Rock Gym’s premier fitness program for losing weight, getting in better shape, and building a better climbing body. Our boot camp workout classes will take your body, mind and soul to the next level – fast. Our approach is designed to not only get you “fit” fast, but also to keep you active and athletic for the years to come. Other fitness programs and boot camp workout classes are usually one-size-fits-all approaches disguised as something special and different. But after you sign up, those kind of programs usually get boring or worse, get you injured. Our fitness classes switch it up every day so your body is always being challenged. And you’re guaranteed never to get bored. So what do we teach? Functional Training at its finest. Functional training means it transfers into your every day life, whether a climber, athlete in another sport, or just want to be more durable in life. 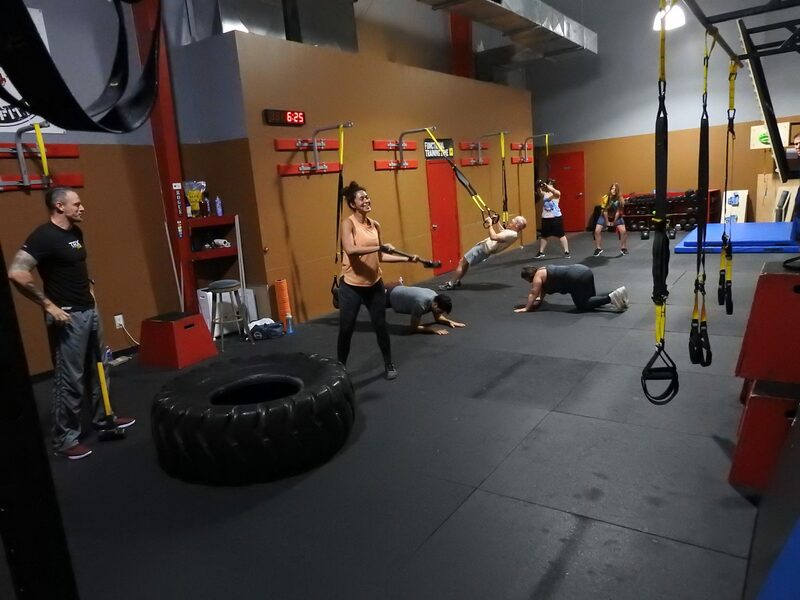 We took the best elements from a variety of workout programs such as TRX, MovNat, HIIT, Kettlebell Training and more, to create our own program, the Primal Fitness program. Most people see initial results in less than 30 days, and our ever-changing boot camp workout classes are designed to continue to help you achieve your goals. Every workout is different. Constant variety is the number one way to challenge your body and continue to see the results you’re looking for. Experienced coaches bring one more very important piece to the equation, personalized attention that is lacking in most big programs. We believe strongly that the goals we want follow perfection in mechanics and movements, and want to help you be successful. 6 am Monday, Wednesday Fridays. Discounts for Texas Rock Gym members. Sign up by paying for class. For questions, submit any inquiries in the contact box at the bottom of the page. Questions or comments about Primal Fitness classes? Contact us using the form below.